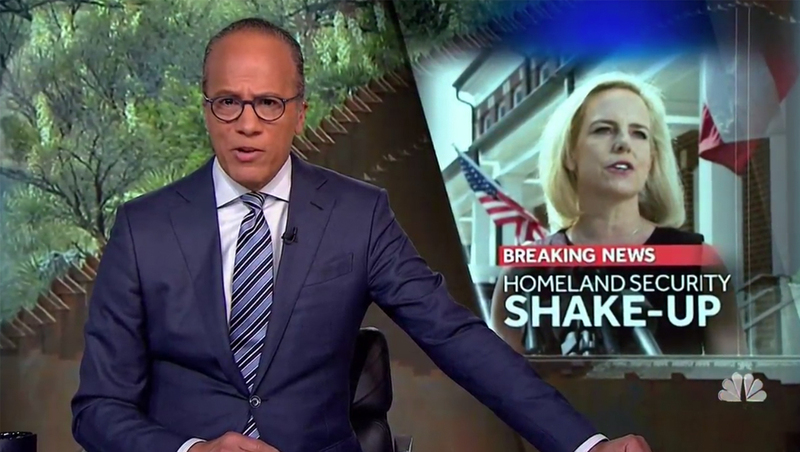 “NBC Nightly News” updated its OTS graphics, appearing to eliminate the traditional overlaid boxes in favor of using its studio’s seamless video walls to give designers a bigger canvas to create over the shoulder elements. 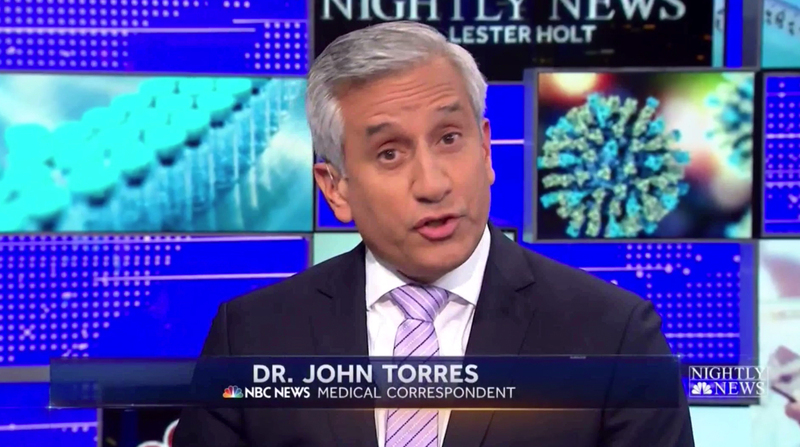 The graphics changes, which rolled on Monday, April 8, 2019, incorporated some earlier and new changes in how the set its shot. The set, which was installed in July 2017, is packed with video walls and structural elements that allow for a wide variety of shooting and storytelling options. Prior to the OTS changes, NBC switched away from using the dramatic wide push-in, like the one shown here, that showcased the studio’s video tower and vista video wall alcove in the background. 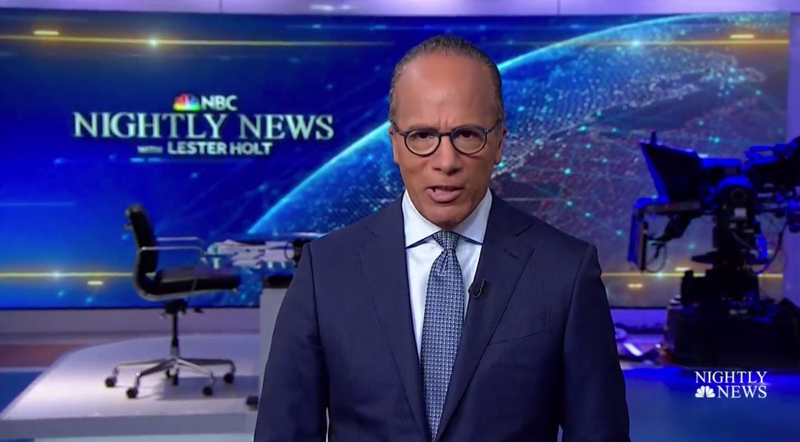 The show now opens with anchor Lester Holt next to the tower but shot from the opposite angle, with the ‘jigsaw’ LED array, uplit walls and a small part of a seamless video wall on the opposite side of the studio visible behind him. The new approach also includes a slower, less complex push-in and, with less LED video walls, an arguably less cluttered look behind Holt. Previously, many ‘Nightly News’ segments were shot against the glass wall that separates the ‘Nightly’ studio from the rest of Studio 3A. 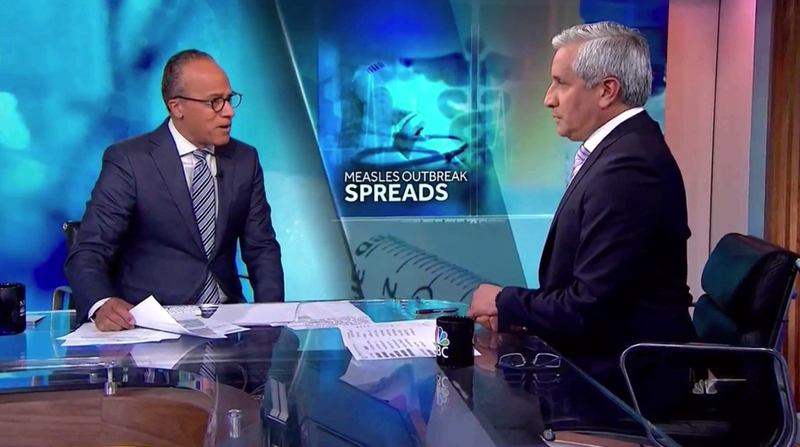 A sliding wall can be used to cover the MSNBC side of the studio, making just the work area and a branded graphic visible behind Holt. These shots typically used this more ‘traditional’ style of OTS. 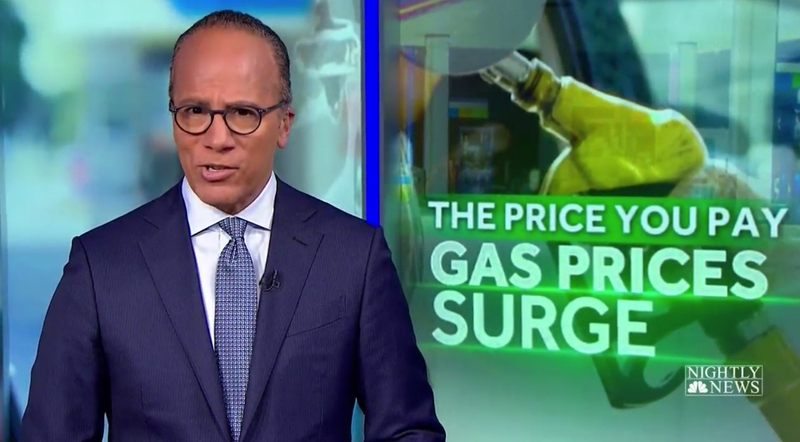 Now, for much of the broadcast remainder of the broadcast, Holt sits at the anchor desk with the studio’s widest seamless video wall behind him, which display the updated OTS graphics. For the new look, the graphics feature large, sometimes blurred or more abstract background imagery that fills the entire wall while a diagonal “glassy” segment serves as the base for the OTS graphic, which can be animated in over the background. The new shape gives designers a somewhat larger canvas to include text and graphics and also can be animated using the ‘swiping’ motion the original OTSs used. The graphics themselves also feature thin line accents and microtext inspired by the show’s animated bug and open, respectively. 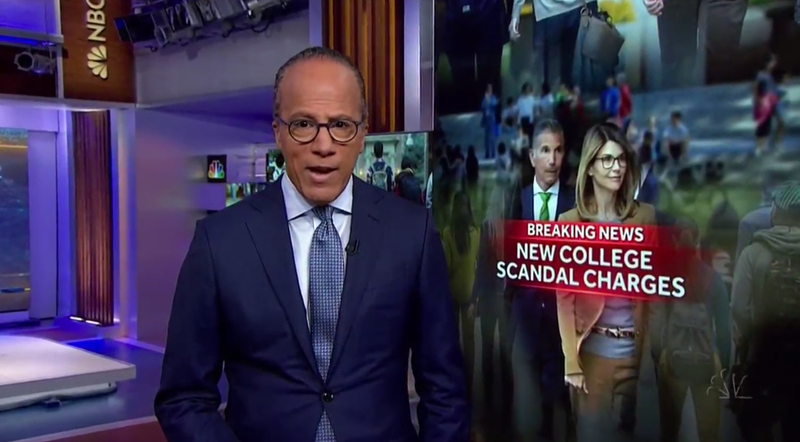 The same video wall can be used for a generic ‘Nightly News’ branded background that uses a video loop of the network’s 4E newsroom along with a simulated frost bad on NBC News logos and the show’s logo camera left framed by thin frame segments. 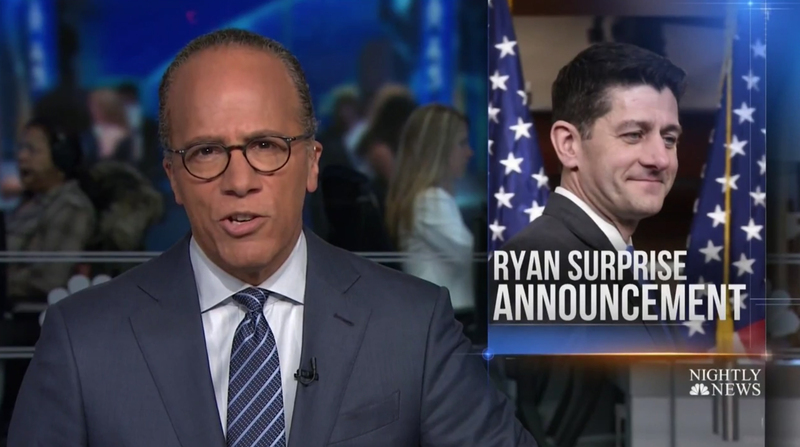 The position of the new OTS graphics also allows it to be framed directly between Holt and on-set debriefs from correspondents, who now sit camera right. An alternate layout of the ‘Nightly’ branded background can be used on a wide debrief cross shot as well. These correspondents, meanwhile, can be shot against the backlit and jigsaw wall, which typically includes a mix of topical and branded graphics. After a correspondent is done, the camera can push in to frame just Holt and the OTS. Both the April 8 and 9 editions of ‘Nightly’ included a single segment shot in the video wall alcove with the previous style of OTS video wall graphics. 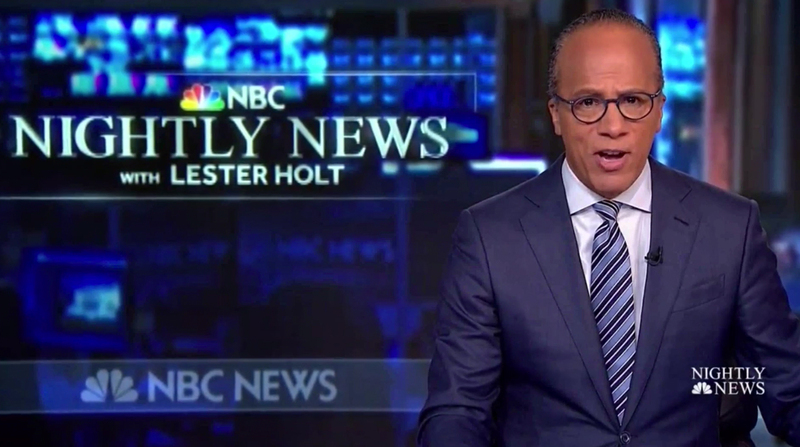 The broadcast continues to close using a wide view of Holt standing with the anchor desk area video wall behind him showing a large globe graphic with the show’s logo. Also visible behind him are the anchor desk and chair as well as a parked robotic camera. 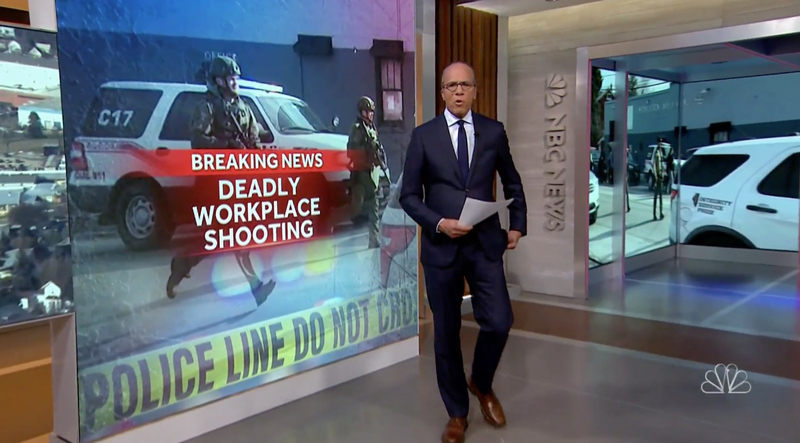 Ironically, however, NBC appears to be pivoting the anchor desk 90-degrees for this shot and positioning the camera in a position that would, if the shot was aired, show into the newsroom area, much like the previous overlaid OTS shot. Despite moving toward using OTS graphics fed to video walls, the broadcast will likely retain its more traditional OTS template for use when the show is in the road and, therefore, no video walls are available. 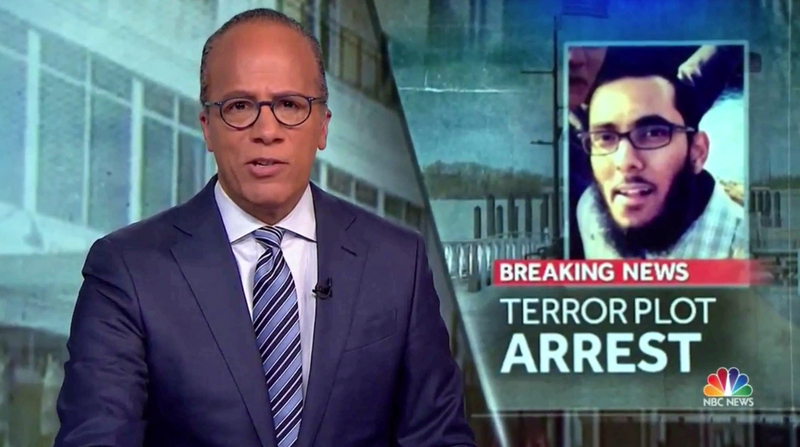 The new update also moves the broadcast closer to the style of OTSs that rival “ABC World News Tonight” primarily uses on its seamless video wall, though that broadcast does retain the traditional overlaid box look as well for some uses.